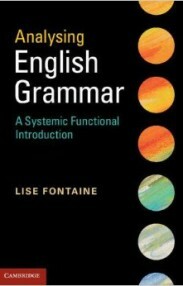 A practical step-by-step introduction to the analysis of English grammar, this book leaves the reader confident to tackle the challenges analysing grammar may pose. The first textbook to take an integrated approach to function and structure in grammatical analysis, it allows students to build experience, skills and confidence in working with grammar. The innovative, hybrid approach combines an introduction to systemic functional theory with a solid grounding in grammatical structure. The book approaches grammar in an incremental way, enabling students to develop grammatical skill in stages. It is of particular value to those starting to work with functional grammar but it is also relevant for experienced readers who are interested in developing a more systematic approach to grammatical analysis.